This is one fix for recalled vehicles that might be more deadly than the problem. Not all the manufacturers involved have said how they'll handle the expected shortage. But Toyota has said that it plans to disable defective airbags once it runs out of replacements as it repairs the 800,000 cars it has recalled. "It's something we're prepared to do, an indication of how seriously we take the problem," said Toyota (TM) spokeswoman Cindy Knight. Not everyone thinks this is a good idea, since only a small percentage of the defective airbags are likely to explode in a crash. More people could be killed due to disabled airbags than by the defective airbags, said the Center for Auto Safety's executive director Clarence Ditlow. 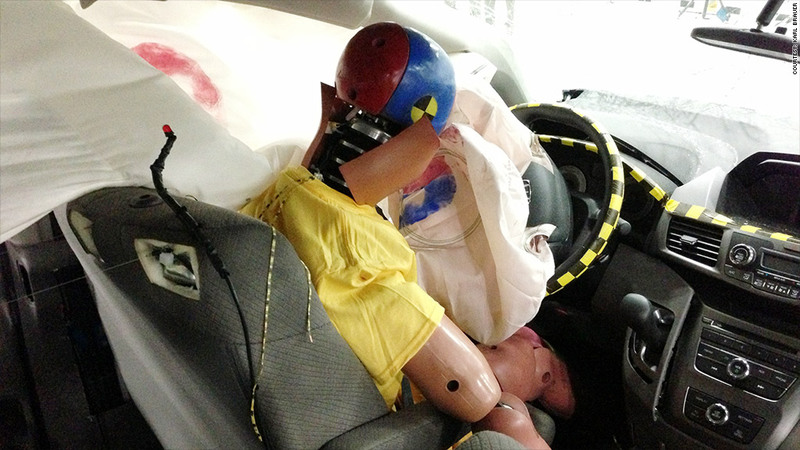 "You save more lives by leaving the airbags in place than you would lose lives by the airbag exploding," Ditlow said. Even if a driver is wearing a seatbelt, he said, airbags can provide life-saving protection in a crash. Toyota (TM) says the recalled airbags are only on the passenger side of it's cars. If it disables an airbag, it will put a sticker on the dashboard advising people not to ride in the front passenger seat until its replaced. And it stressed that disabling the airbags is just a temporary solution until a replacement can be installed. Toyota has gotten permission from the National Highway Traffic Safety Administration to disable the airbags, which otherwise would be illegal. Both Toyota and NHTSA are pushing to get owners to bring their cars in to be serviced, whether or not Toyota runs out of replacement airbags. Other automakers affected by the recall may also run into a shortage of replacements. Five million vehicles made by Honda Motor (HMC) have been hit by the recall, but the automaker has declined to say whether it will disable the flawed airbags if or when it runs out of replacements. The company is working to get enough of the replacement airbags, according to Honda spokesman Chris Martin, and that it has not yet asked NHTSA for permission to disable any air bags. General Motors has recalled 80,000 autos for this airbag problem and the company says it won't disable them if it runs out of replacements. "We're in pretty good shape on replacement parts at the moment," said GM spokesman Alan Adler. "But if and when we run out of parts, our plan is to give owners loaner vehicles. We would not disable the airbag." There have been four deaths and dozens of serious injuries tied to the exploding airbags, according to the Center for Auto Safety, all in Honda and Accura cars built by Honda Motor (HMC). 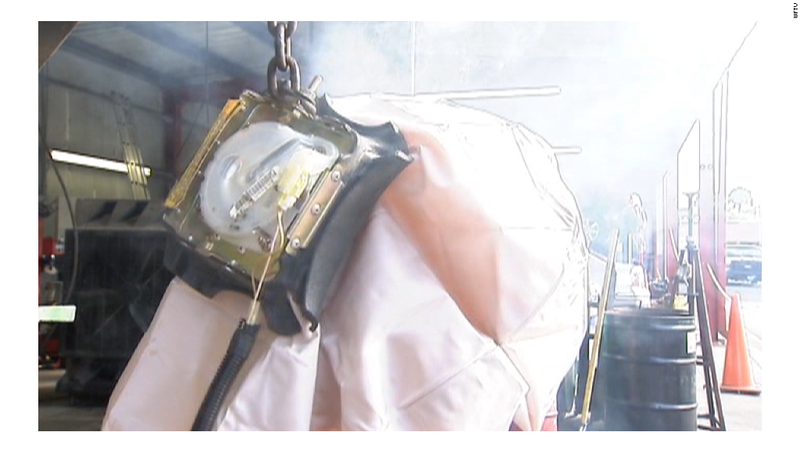 NHTSA is pushing Takata to step up efforts to produce replacement bags. But Takata did not return repeated requests for comment as to when it will be able to supply enough replacement airbags to repair all 8 million cars.